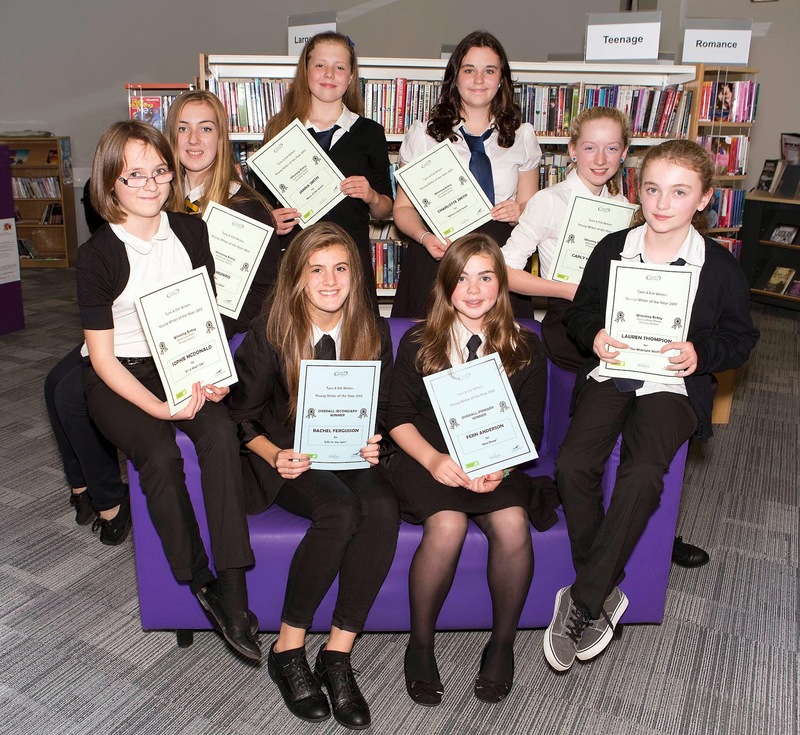 Two talented pupils, one from Midlothian and the other from East Lothian, have won the top prizes in a writing competition open to all young people in the two counties organised by Tyne & Esk Writers’ Group. “Skin deep” a prose piece by Fern Anderson from Sanderson’s Wynd Primary School won the Young Writer of the Year award for Primary Schools and “Life in my eyes” a prose piece by Rachel Fergusson from Dalkeith won the Young Writer of the Year award for Secondary Schools. The Writers of the Year were chosen from the winners of the four categories in the competition; primary prose, primary poetry, secondary prose and secondary poetry. 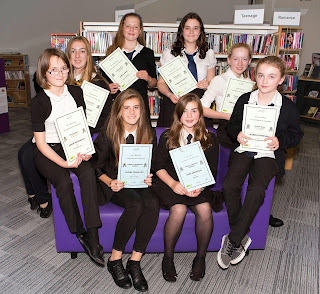 There were eight winners overall, four from East Lothian and four from Midlothian. At the awards ceremony at Tranent Library in East Lothian all the winners were presented with their prizes; a £20 book token and a family day out to the Scottish Seabird Centre. The two overall Young Writers of the Year also received an iPod shuffle. Tom Murray, Creative Writing Fellow for Tyne and Esk Writers’ and judge of the competition said “The standard of entries once again demonstrated the wealth of creative talent across the two regions”. The competition sponsored by The Seabird Centre in North Berwick and organised by Tyne and Esk Writers in conjunction with East and Midlothian Libraries attracted over 700 entries this year. Congratulations to all the winners of this competition who will hopefully go on to be successful writers of the future. Skin Deep - Fern Anderson. Sanderson Wynd Primary School, Tranent. The Midnight Wolf - Lauren Thompson. Elphinstone Primary School. When I come home - Charlotte Smith. Knox Academy. Mare of the desert - Janna Smith Musselburgh Grammar School. It's a dog's life -Sophie McDonald. Cornbank Primary School, Penicuik. Being Blind - Carly Howarth. Woodburn Primary School, Dalkeith. Life in my eyes Rachel Fergusson, Dalkeith High School. It's all happening in the John Gray Centre!